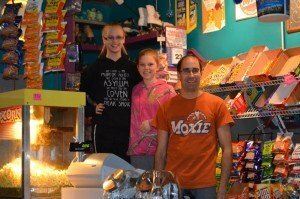 Despite competition from games and technology, after-school sports, and other extracurricular activities, roller skating rink operators interviewed for this article said that they still have a loyal customer base. Like most pastimes, roller skating has gone in and out of fashion, but operators said that it is enjoying a comeback. 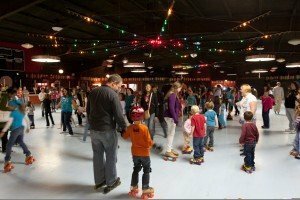 Besides being a fun way to exercise, roller skating is an affordable activity that families can do together. Parents who made regular trips to their local rink are now encouraging their children to lace up their skates, introducing the sport to a whole new generation. 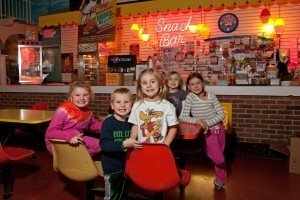 A birthday party at Big Wheel Roller Skating Center in East Stroudsburg, Pa. In addition to skating, the center offers special programming year-round. But operators are also starting to branch out. From dances and Zumba classes to summer camps and roller hockey leagues, skating rinks are no longer solely for skating. John Shigo, owner and manager of The Strand Roller Rink in McAdoo, Pa., said that their rink has become a multi-purpose facility. Besides the skating we have Zumba classes and country line dancing, with the skating on the weekends,” he said. Bonnie Coffin, owner of Big Wheel Roller Skating Center in East Stroudsburg, Pa., said that their facility offers full-day summer camps that include soccer, skating and arts and crafts, as well as a full, year-round menu of programs in addition to skating. 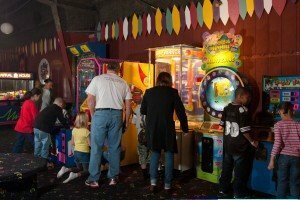 Tom Smith, assistant manager of Roller Roost II in Pottsville, Pa., said their recently remodeled facility now includes a full arcade, so kids can stay busy when they take a break from being out on the floor. Operators are finding interesting ways to draw new customers (even non-skaters) while still staying true to their core business. They promote their rink through a combination of traditional and social media. Word of mouth advertising is still a powerful marketing tool, but most have embraced technology and maintain current websites and have a presence on social media pages, particularly Facebook. Operators also distribute an array of coupons for everything from a free pass for open skating to a free drink at the concession stand. These small incentives help to bring repeat business through their doors. Guests photographed at the Big Wheel Roller Skating Center’s snack bar. The facility offers summer soccer, skating and arts and crafts camps. John Shigo, owner and manager of The Strand Roller Rink in McAdoo, Pa., with center helpers Elizabeth and Abigail. In addition to skating, the center hosts Zumba classes and country line dancing. 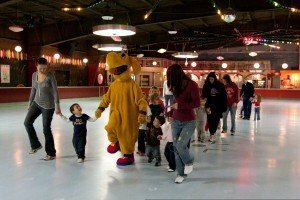 Space is no trouble for Brookpark Skateland in Brook Park, Ohio, home of the largest rink floor in northern Ohio at an impressive 225 feet by 85 feet. Brookpark draws an average of 600-700 skaters each week, explained Owner Trent Bradnan. Brookpark also hosts the oldest roller skating Invitational in the country and draws skaters from all parts of the United States. “We have five or six teachers for the skating club. Our club is open to students who take lessons at our rink. Some of our club members have gone on to compete in Worlds.” But skaters can’t compete unless they know the basics, and many rinks offer weekly lessons for beginners, which often translates into extra revenue if the students stay for open skate afterwards. Brookpark has had tremendous success with their Saturday morning lessons, Bradnan explained. Big Wheel offers lessons during the week after school on a flexible schedule. “We offer individualized lessons. A student may only come for one, or they may come for a few weeks. You can take as many as you need and you pay as you go,” said Coffin, whose daughter teaches each session. And for those extreme skaters looking for an added challenge, many rinks like the Roller Roost are now offering roller hockey teams. “We have two hockey leagues—a junior league for 5-18 year olds, and a senior league for over 18 year olds,” Smith explained. Children engaged in a special activity at Big Wheel Roller Skating Center. Pay-as-you-go, individualized skating lessons at the facility help students gain skills. 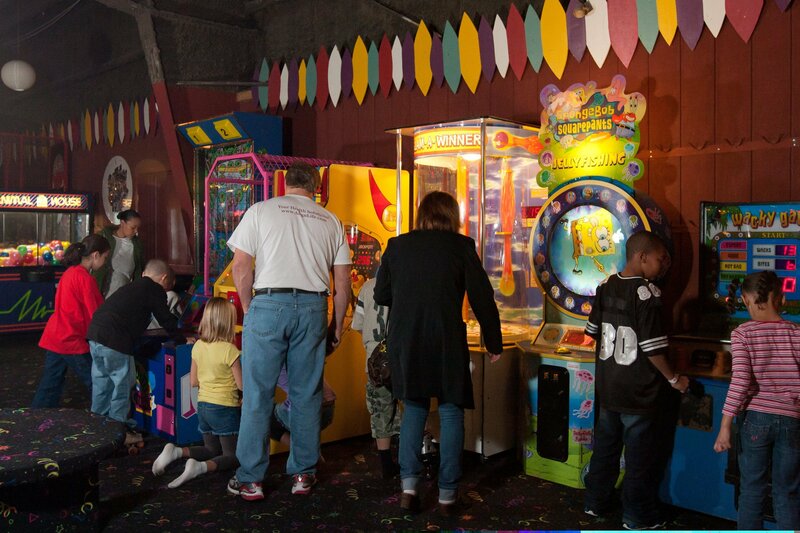 Guests enjoying the arcade games at Big Wheel Roller Skating Center.